This dictionary gives readers a unique opportunity to immerse themselves in the language of philosophical practice. This is the result of the work of Russian scientists fruitfully cooperating with foreign colleagues in the field of philosophical practice. 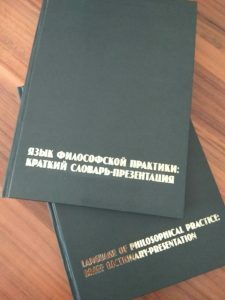 The dictionary briefly and thoroughly reveals basic concepts of philosophical practice with reference to foreign sources, which are so little known to the Russian reader. This is a projective dictionary; it is not “final”. This is an invitation to joint creativity for further understanding of philosophical practice. This dictionary is intended for a wide range of readers. Philosophical Practice is gradually becoming a recognized profession. in many countries associations of philosophical practitioners are created, and the number of clients using the services of philosophical practitioners increases. However, the actual aspect of our dictionary is not the institutional as- pect of this topic, but the essential and categorical aspects, in fact, what philosophical practice as a direction of modern phi- losophy is? What is the conceptual apparatus of philosophical practice? What constitutes the invariant (basic) component of this apparatus, and what characterizes its variative features de- pending on the field of application and distribution area? How in the light of philosophical practice are the basic concepts of philosophy, psychology and pedagogy represented; how are they “transformed” and modified? 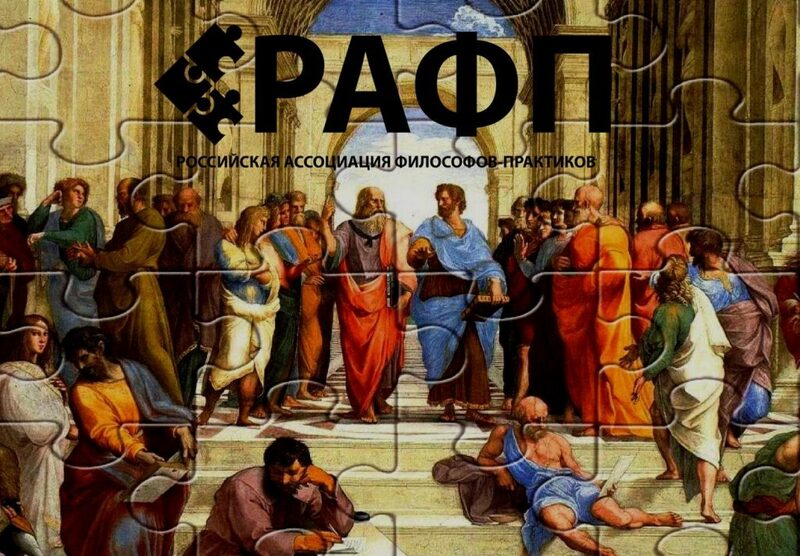 The answer to these and many other questions are in this dictionary, which became the fruit of the efforts of a whole team of Russian philoso- phers. The dictionary enables readers not only to understand the basic concepts that have become most widespread in phil- osophical practice, but also to outline for themselves a scope of their own interests in this field. Most of the articles in the dictionary are written in a projective style, they involve the reader in a discussion of open problems, and do not impose one single point of view on the directive. Thus, any reader can become a co-author of each article due to his or her own reflections, professional and life experience. and it should be so, because the most important philosopher for a person is him- or herself. Philosophical practitioner, if we take advantage of the paradoxical statement of Gerd B. achenbach, is a specialist in a non-speciality, s/he treats his/her visitor seriously: a person is understood not with the help of theories, that is, schematically, and not as “an example confirming a rule”, but as that unique human being that s/he is. it is not judged in accordance with a certain “measure” (for example, “health”). The question is, rather, whether s/he lives in har- mony with him- or herself. a feature of philosophical practice, in contrast to academic philosophy, is that it should be guided by the themes, problems and questions that occupy the one who appeals to philoso- pher. Philosophy, which begins precisely with what it is asked about, is unlimited, in contrast to the requirements imposed on sciences. This is another objective difficulty in compiling a vocabulary on philosophical practice. after all, philosophical practice is not a scientific specialty, not an academic discipline in the academic sense of the word. and philosophical practi- tioner is not an expert. consequently, philosophical practice cannot be determined through an indication of some special “competence”. Philosophy, which begins with what others present to it, can be guided by this rule only when it considers each problem as a philosophical problem and evaluates each question philosophically, i.e. as a question that leads to philosophy. According to L. Amir’s witty remark, in the practice of education a “non-serious” attitude to philosophy was formed. an example of this attitude is a solid university professor who believes that the philosophical theory is too abstract and has nothing to do with everyday life. However, it is only through the practice of communication that you can actually learn what the difference between serious (but unnecessary) self- giving and serious (really necessary) attitude to your work is: you must take your work seriously, but not to yourself. Professor of philosophy, who believes that his discipline does not apply to life, is not serious about his or her pro- fession. if s/he were serious about his/her profession as a teacher of philosophy, s/he would participate in philosophi- cal practice, due to the fact that good teaching implies deep penetration into the subject and the ability to communicate. Moreover, even if this professor “simply” teaches philosophy, s/he can without special training be a philosophical practitioner. all that is required is simply to be a good philosopher, that is, a person who does not avoid direct contact with a student or client (the same student), is enthusiastic about his/her profession, strives for the essence, knows how to listen, ask questions, explain and clarify. if so, there is no gap between academic philosophy and philosophical counseling. 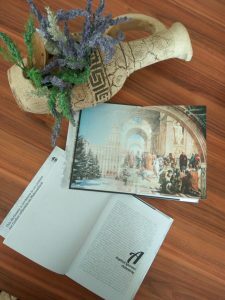 Therefore, many articles of our dictionary are devoted to the integra- tion of philosophical practice into the practice of education for children and adults, which is an adequate response to the challenges that modern education poses to education. Philosophy is a universal “thing”, because it includes all knowledge, everything that has been thought out, investigated and learned belonged to it; the whole world of knowledge in all its diversity is based on philosophy. it finds access to everything, because earlier its original element was already present in any knowledge, opinion, even feeling in the quality of thinking in a very broad sense.